These classic commercial style Medeco M3 deadbolt lock are high security locks with the 2 3/8″ Backset to fit standard home doors. Medeco m3 are UL listed for use on fire doors; Grade 1 Certification for auxiliary locks and associated products; and the Level A Certification ensures patent protected key control and strength. They can be incorporated into existing master key systems, and the deadbolt is designed to accommodate mortise and drive-in face applications. This deadbolt lock provide the security features protect against drill, wrench, ice pick, kick in, hammer, lock bumping, and prying attacks. Their solid brass construction offers higher quality and longer cylinder life. 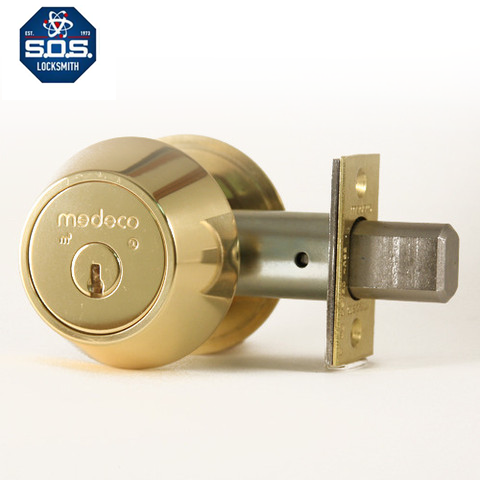 SOS Locksmith is NYC only Medeco Security center and consider top Medeco Lock distributor in NYC.